Although wearing contact lenses are a fact of life for many people, if you suffer from certain conditions it may be difficult for the doctor to fit you with contact lenses. If you have astigmatism, the curve of your eye is irregular, causing your eye to flatten in an oval. This means you have more than one prescription in the same eye. 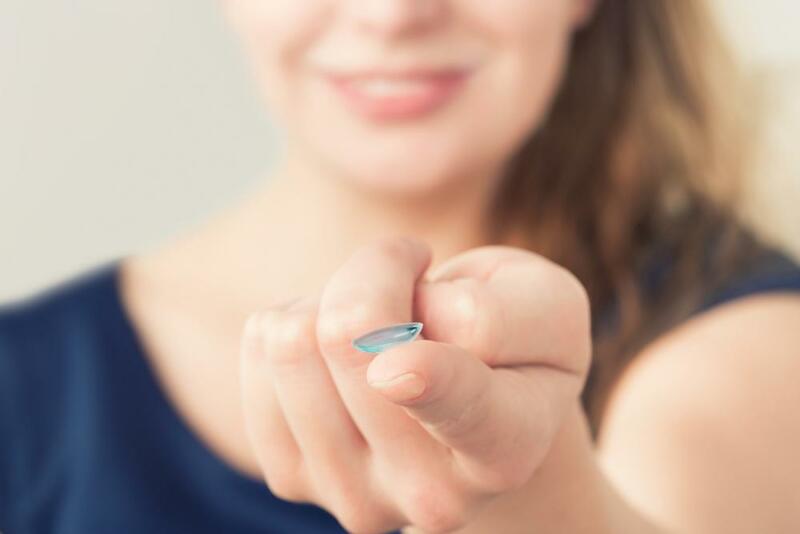 In Houston contact lenses for astigmatism are called toric lenses, and they're made with a tiny weight the bottom, meant to keep the lens right side up. The weight is small enough that you won't feel it, but it's enough to keep your lens from moving out of focus. In keratocunus, the cornea is too thin and allows the eye to bulge outward, changing the curve of the eye and causing the front of the eye to be more sensitive than usual. In Katy contact lenses for keratoconus usually come in two varieties. Our doctors may fit you with rigid gas permeable lenses and may or may not have you wear soft lenses underneath to cushion your eye. Another solution is scleral lenses which are designed to rest on the sclera, or white, of the eye instead of on the colored iris. This keeps the lens from rubbing on the sensitive thin spot, preventing irritation. After the age of 40, many people lose the ability to focus close up. This requires a different contact lens prescription from the normal distance one. When this happens, we can make bifocal or even trifocal contact lenses to deal with multiple prescriptions. After LASIK, or refractive surgery, you still may not have perfect eyesight and may need additional corrective lenses. You might need special lenses known as reverse geometry lenses. They're flatter in the center to match the shape of the post-op corneas. In addition to correcting your vision, these lenses can reduce or eliminate the problem of halos and glare at night that are common after refractive surgery. Reverse geometry lenses come in both soft and rigid gas permeable lenses. The doctors at Eyesite are dedicated to giving you the best quality products available. Our doctors will consult with you discuss your contact lens options, and to find the right lens choice for you. If you've been diagnosed with any type of specialty vision problems, you don't have to settle for wearing eyeglasses when you'd much rather wear contact lenses. Call our Houston office at (713) 984-9144 or the Katy office at 281-644-2010 for an appointment today.